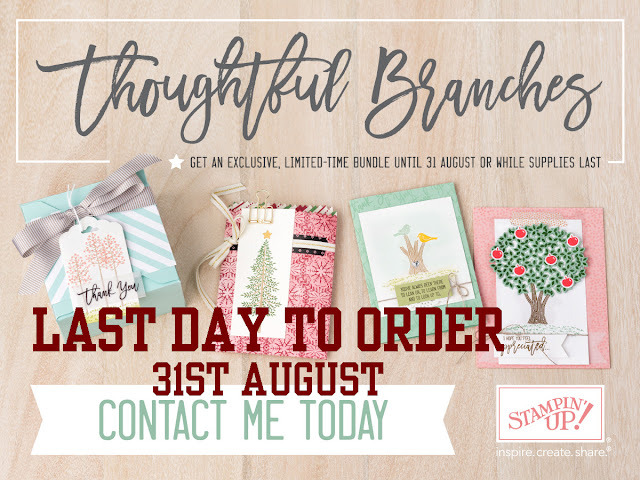 Tonight (31st August) is your last chance to order this versatile stamp set with or without the matching Framelit dies. It has been so popular and it is the first time that Stampin' Up! have trialled a special offer set for one month only. They have informed us that this set will NOT be re-appearing as a bundle in a future publication, so if you love it, NOW is the time to get it.